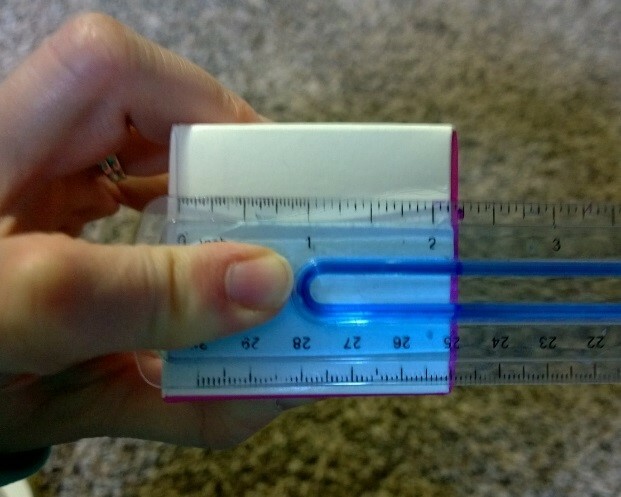 Here’s a fun, easy, and inexpensive way to make large dice for games and math activities! 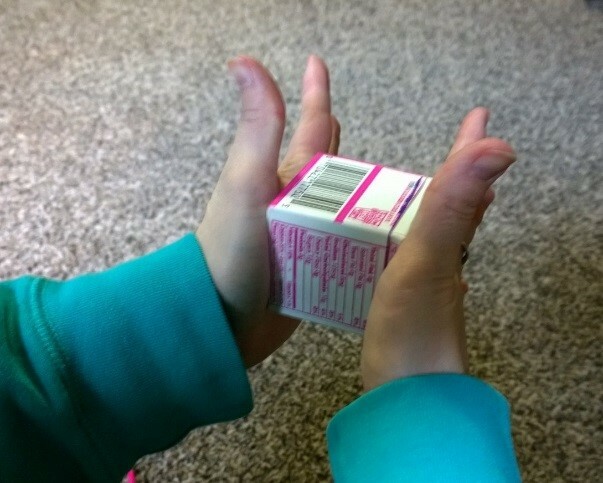 Although dice can be beneficial for counting games, they are often difficult for young children to hold. In addition, young children who are just beginning to use one-to-one correspondence in counting may not be ready to count up to six dots. Standard-size dice also fit in a choke tube, making them a potential choking hazard. 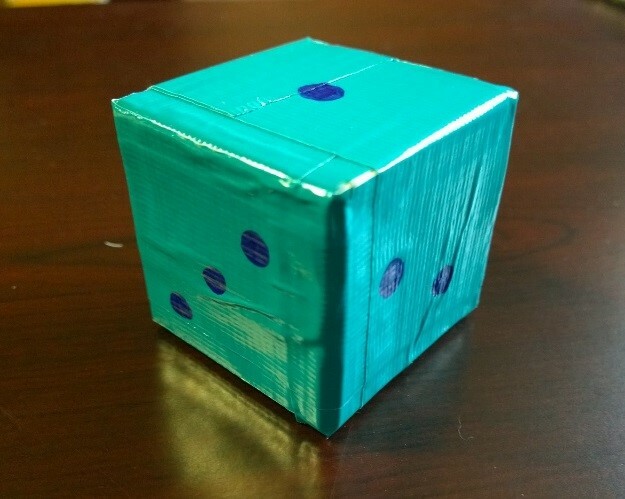 Here is a way to make your own cubes that are easier for young hands to handle, and—best of all—you can control the numerals or number of dots! 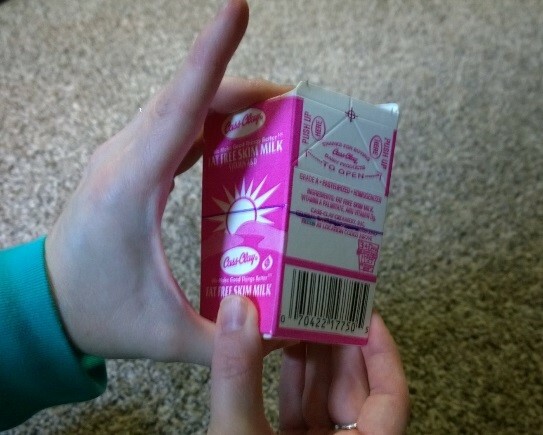 Step 1: Measure the bottom of two containers of the same size. 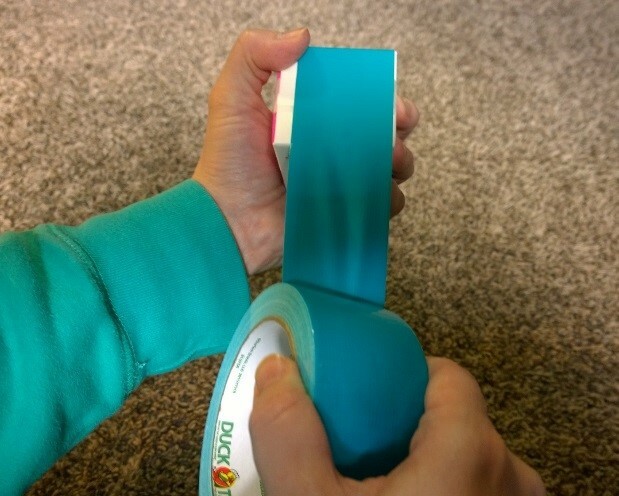 Step 2: Measure that same amount up all the sides of BOTH containers, and mark them with a line. 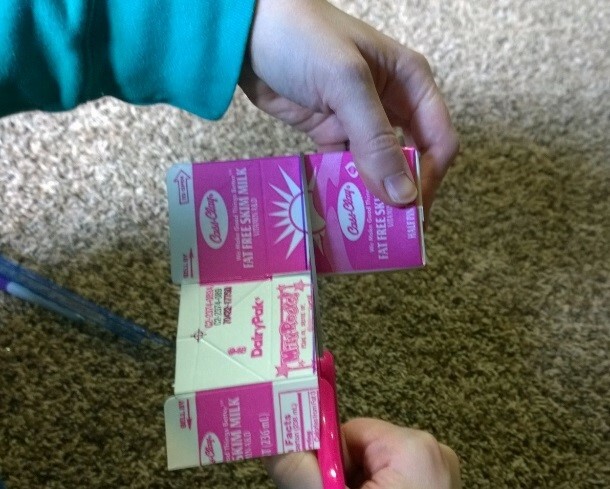 Step 3: Cut both cartons along the marked line. 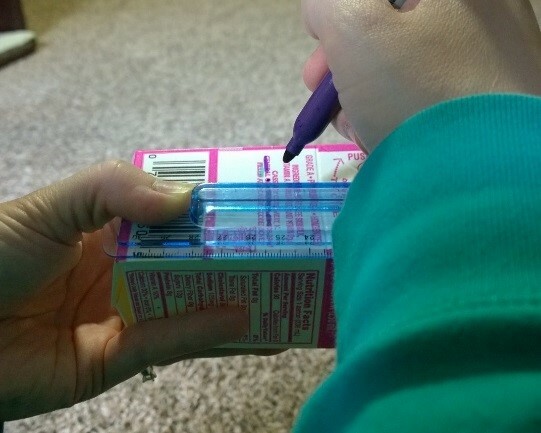 Step 6: Mark the cube with dots or numerals. 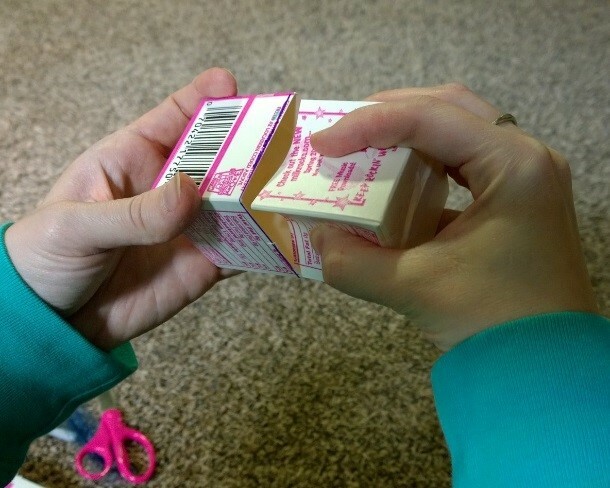 Ask families to save empty cartons so you can make several types of dice, depending on the skill levels of your children. Or, create sets of homemade blocks in different sizes and colors for your building area! < What Can You Do with Plastic Eggs?